New York, NY – March 13, 2015 – IBM BP NotesMail, provider of IBM Notes and Domino consulting services and Notes tools & apps, now offers enhanced faxing and voicemail for IBM Notes and Domino. H-Fax Voicemail Center is a simple and inexpensive fax & voicemail solution for Domino running on Windows platforms. Incoming faxes can be routed to specific people / groups including an option to configure routing based on Caller ID (CID). H-Fax can be used as a replacement for "IBM Integrated Domino Fax" and "Lotus Fax for Domino" which has been discontinued (EOL) by IBM. H-Fax can be configured solely for the fax feature. However, if you are interested in the voicemail feature it supports up to 99 voice mailboxes including call transferring. Incoming voicemails can be routed to specific people / groups. 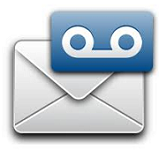 Voicemail notifications can be configured to use the native Notes mail "Phone Message" form. It also allows users to send a voice e-mail (V E-Mail) if they choose not to type a Notes email message. H-Fax can be configured for Domino 9/8/7 servers running on 32-bit and 64-bit Windows platforms, and it is easy to install. 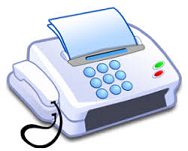 More information on H-Fax is available by going to the NotesMail Website or calling 212-599-2048 x5.